When Samsung introduced the Galaxy Note 7, it also debuted a new Blue Coral color option that combined blue front and back panels with a gold frame. That color appeared to die with the discontinuation of the Note 7, but Samsung has confirmed that Blue Coral will live on with another device. 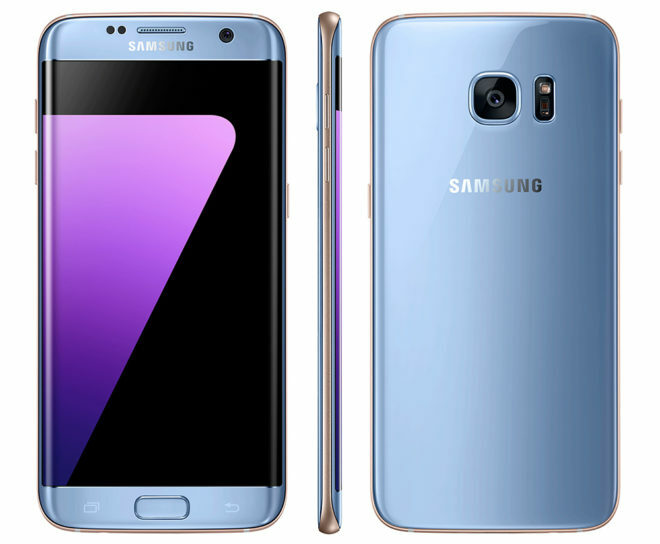 The Samsung Galaxy S7 edge is officially getting a Blue Coral color option. Samsung confirmed the news today, saying that it’ll begin rolling out “in selected markets around the globe” starting November 1. Samsung isn’t talking specific launch dates or carrier availability, instead leaving that up to each market’s carriers and regional Samsung offices. However, Samsung did say that the Blue Coral GS7 edge will be offered by major US wireless providers by the end of the year. T-Mobile currently sells the Galaxy S7 edge in Silver Titanium and Gold Platinum color options, so this Blue Coral version would give T-Mo a GS7 edge model that’s a bit more unique. It’s also just a good-looking piece of hardware, so it’s good to see Samsung applying the Galaxy Note 7’s Blue Coral color option to another device following the demise of the Note 7. Agreed! The lack of black option just may be the reason I move to at&t. I still haven’t turned in my Note7. New Rumors suggest that the Galaxy S8 is going to introduce some major hardware changes to the flagship lineup one of which is expected to be a nearly full-screen OLED display. A Samsung Display researcher declined to confirm the full-screen adoption for the upcoming Galaxy S8 but hinted that considerable resources are being poured into the development. . This color option is great, hopefully it will be for both the S7 and the S7E, I’ll def be picking this one up. I hope Spigen creates the Neo hybrid Case to match the color just like they did with the Note 7. When you put the case on it, it doesnt matter what color anymore except for the front top and bottom. I guess no one has ever made a clear case. Does anyone really care after the Note 7 fiasco? No. Still going back to Samsung bc they make good phones and they own the OLED market. That phone doesn’t need more colors. It needs more built in storage. I had the black Note 7 twice when I had to return it I was looking into grabbing a black S7 Edge…unfortunately Tmo only has Silver and Gold which both look horrible imo. Blue isn’t any better. Really wish the still sold black. I went with the V20 as nothing else really caught my interest.